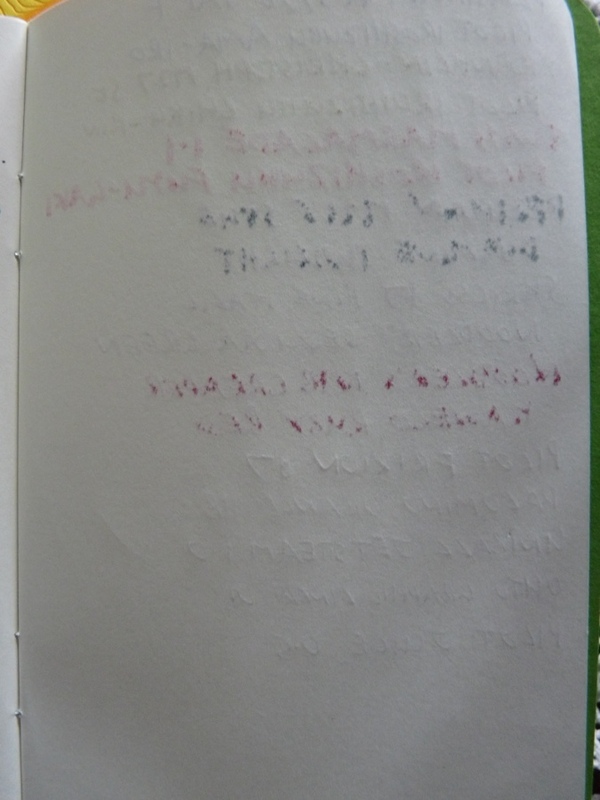 Analog LatLon notebook review – Pens! Paper! Pencils! 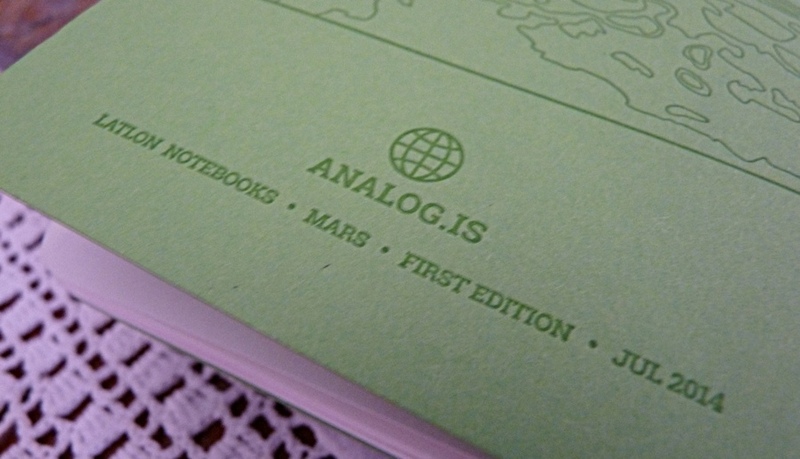 Analog’s LatLon notebooks are the result of a slightly tardy Kickstarter project and are now available from Analog’s website. 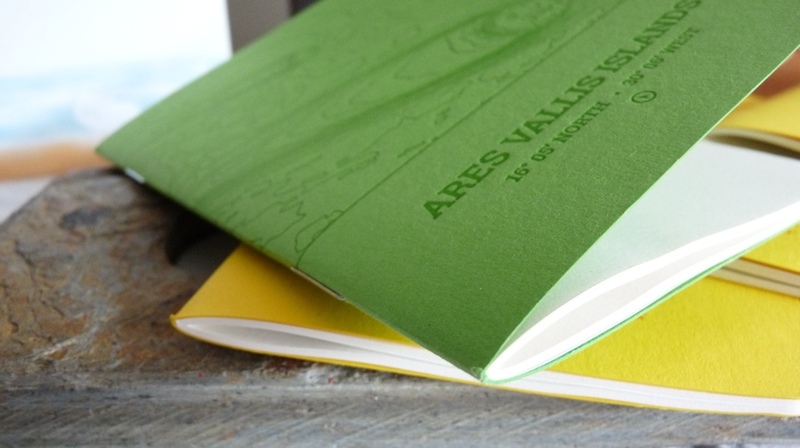 They are A5 sized with 270gsm letterpressed covers and 40 pages of 90gsm plain paper. The post-Kickstarter price is $11 for one or $25 for three. 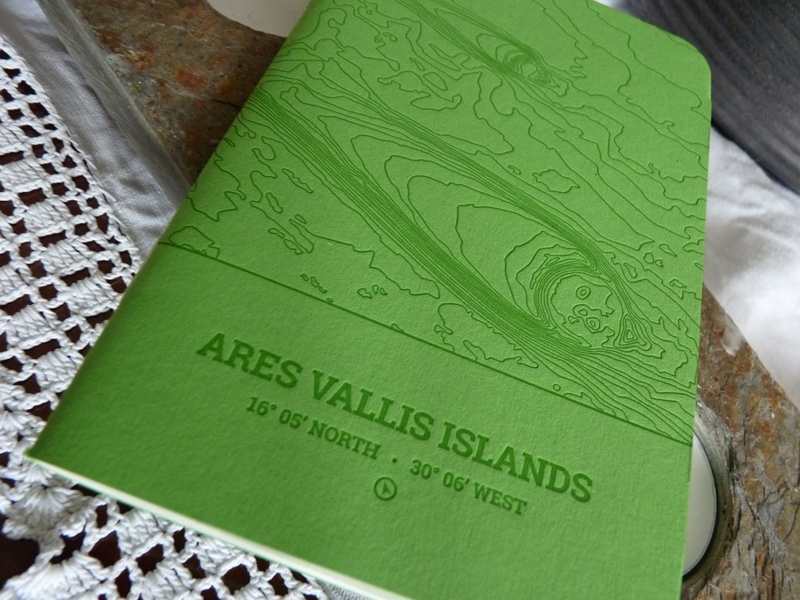 The theme of this Kickstarter project was islands. I bought the ‘Captain Cook’ pack which means I got Christmas Island, Easter Island and Saint Helena as well as a bonus Martian one! (That’s the green one.) The covers are stunning. A lot of effort went into ensuring the covers were accurate and this care is clear to see. The pages are held with two strong staples and overall construction is good. 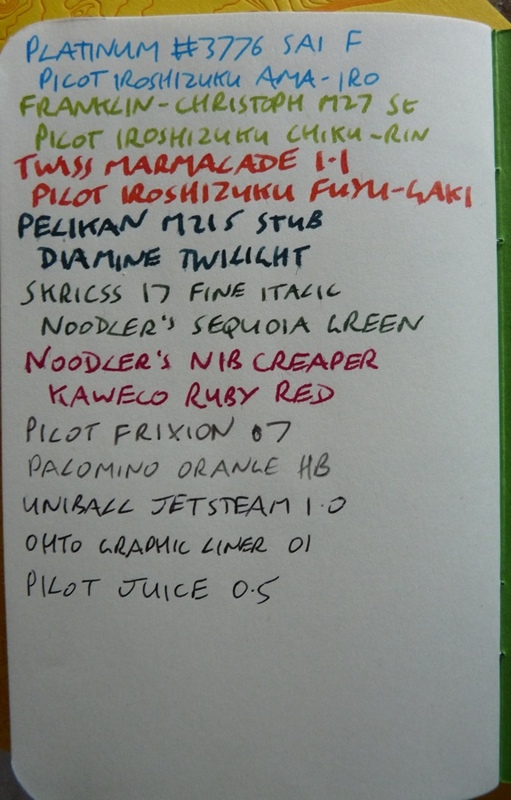 The paper is fairly good but not very fountain pen friendly, with a lot of feathering and bleed-through. 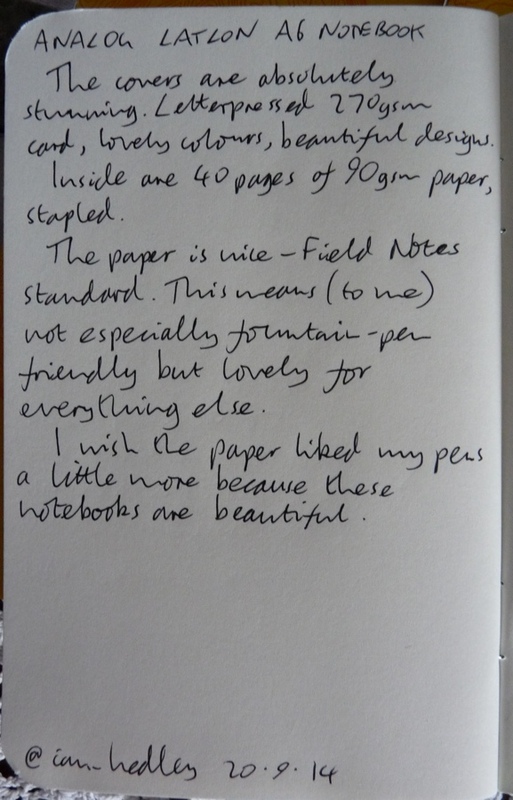 It’s about the same as most Field Notes paper but not as good as Calepino. It’s a little disappointing particularly when you consider how much they cost. 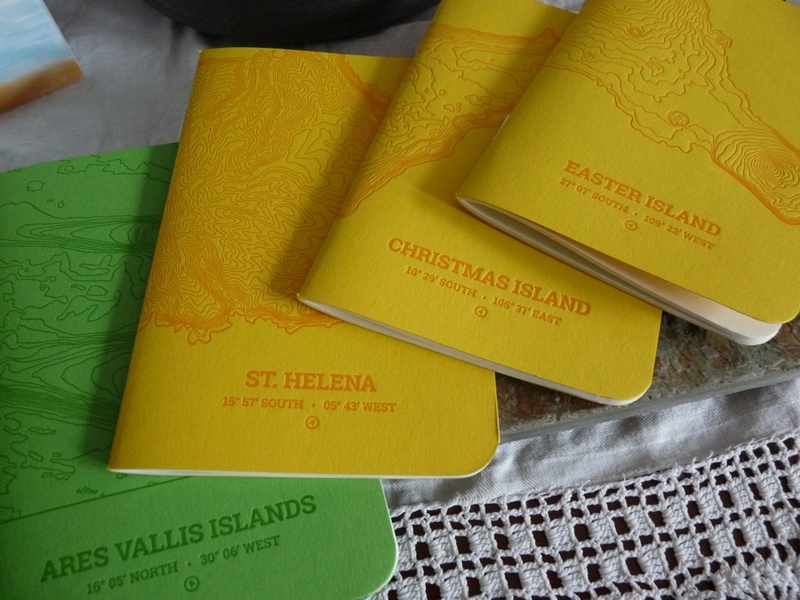 The fountain pen unfriendliness limits what I can use them for but these are such lovely notebooks I have found a way! 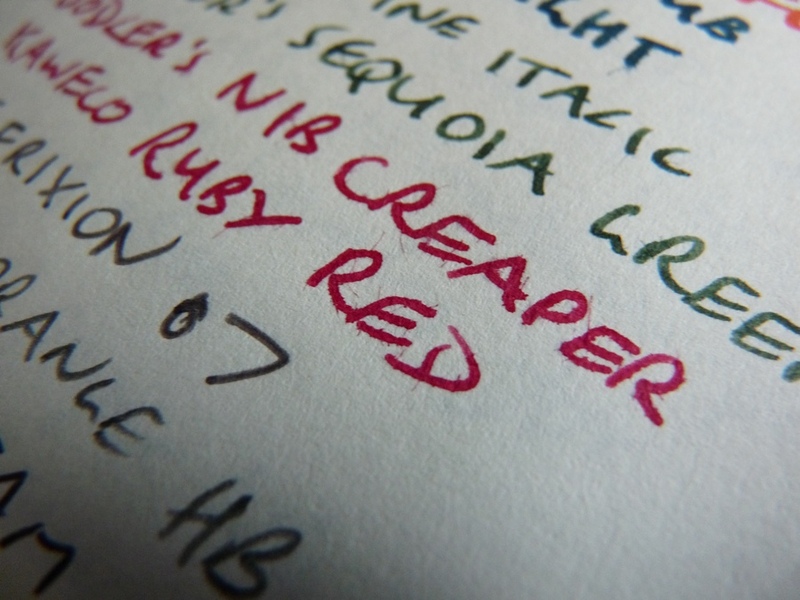 My drier finer-nibbed fountain pens are perfectly okay so I’m using them as my three-plus-one-good-things book. They are too gorgeous, and too expensive, to leave on a shelf.